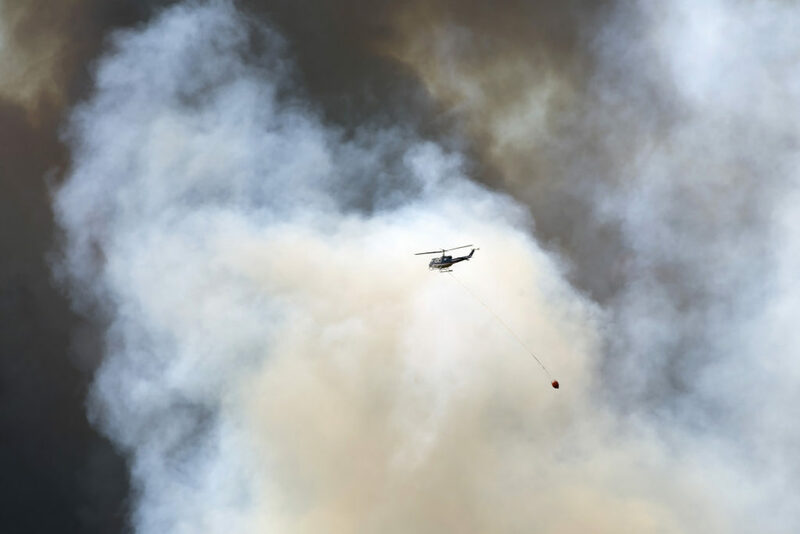 Hotter and dryer conditions are leading to an increasing number of wildfires in North America and elsewhere around the world. The damage they cause is well-known. But one aspect of that damage that tends to be overlooked is the impact on aquatic environments and drinking water supplies. Intense and repeated fires can damage the ecology of waterways by exposing them to the sun’s heat, exacerbating flooding and erosion on denuded hillsides, and releasing toxins such as mercury that can be liberated from soil and tree trunks. The relationship between wildfire and watersheds is complex. Without trees, vegetation and a stable soil structure to absorb heavy rains, tons of ash, debris, heavy metals, and nutrients are flushed through watersheds. The effects on ecosystems can persist for years. Major wildfires have had severe effects on drinking water supplies. Fires that burned upstream of Fort McMurray in Canada in 2016, Denver and Fort Collins, Colorado in 2002 and 2012, and in Canberra, Australia in 2003 all overwhelmed water treatment plants in those places. The plants had to cope with sedimentation, dissolved organic carbon, and chemicals that were released by fire. Dissolved organic carbon is the biggest problem because when it is mixed with the chlorine that is used to treat water, it can produce carcinogens that are difficult to remove at treatment plants. With wildfires burning bigger, hotter, and more frequently, the threats to water supplies and aquatic systems are escalating. Forests yield 40% of the water for the world’s 100 largest cities. Many of those cities are already dealing with drought, climate change, and increasing water consumption. Increased wildfire activity can only make the situation worse. Photo, posted May 4, 2016, courtesy of Premier of Alberta via Flickr. ‘Wildfires and the Water Supply’ from Earth Wise is a production of WAMC Northeast Public Radio.